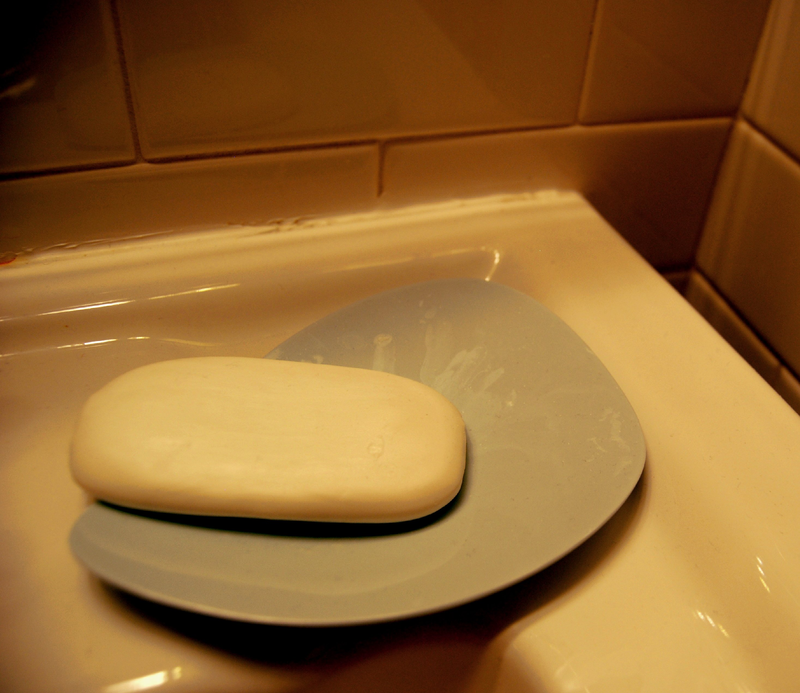 SCP-005 - Soap from Corpses Products, Inc.
Nile Wash Soap thoroughly cleanses skin, leaving it with a glowing look and smooth feel. Simply applying it once a day will help provide natural looking skin without all those nasty chemicals found in other soaps! This item is created using only the finest ingredients. We start by collecting fine mud from the banks of the River Nile, and sifting it over three hundred times with our patented Sift-O-MaticTM. After making sure only the best particles remain, we mix the mud with the smooth, soft corpses we've acquired. When the mud, corpses, and several other secret ingredients are mixed together into a silky smooth blend, we carefully deposit the mixture into molds and freeze them. From there, it's only a matter of days before they're available to you!